news - John Denver Mayhem debut is out! John Denver Mayhem debut is out! 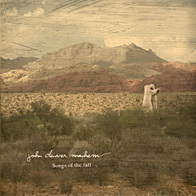 The first ever MCM release, John Denver Mayhem's long waited debut album "Songs Of The Fall" is out now! John Denver Mayhem plays acoustic guitar oriented melancholic rock music, so if you are into that or even if you are not, be sure to check it out here or here. If you like it, you can order the album from Record Shop X via internet it or buy it with a lower price at the first concert event organized by Must Control Music community, Event#1. The happening takes place at the K-Klubi bar in Kuopio in July 30. 2010 © Must Control Music. All Rights Reserved.